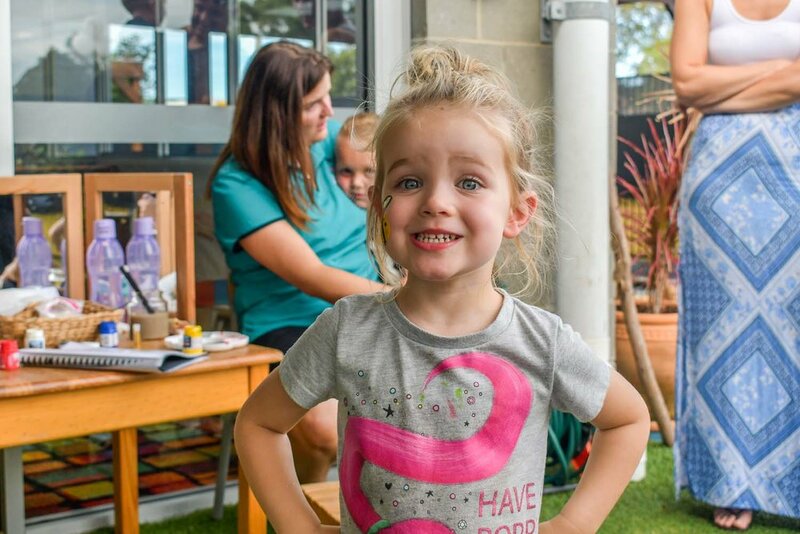 St Nicholas Early Education recently held an open day to introduce the newest of its early education centres, located in Raymond Terrace, to the local community - and the event attracted more than 40 families. Families toured the centre, taking a look inside each early education room and enjoying the experience of seeing for themselves the programs that are on offer and what St Nicholas Early Education is all about. The team from St Nicholas Early Education Chisholm hosted a delicious sausage sizzle for parents and children to enjoy. 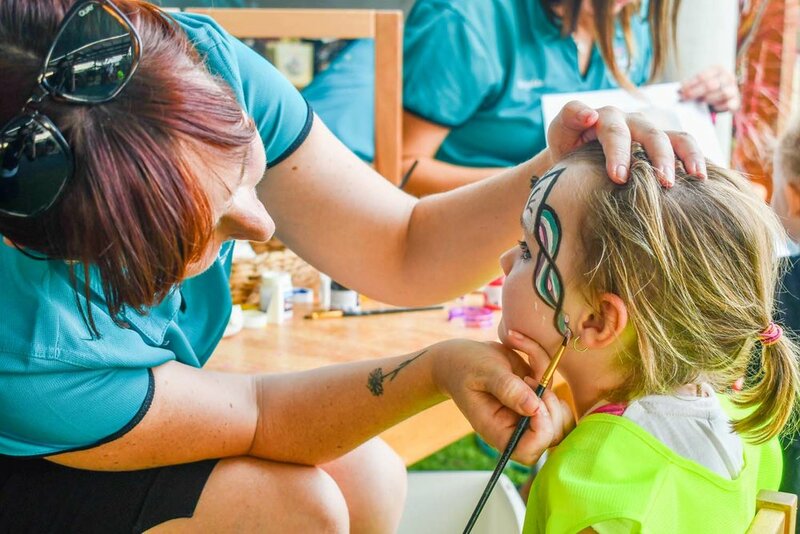 Children also enjoyed a number of exciting and wondrous activities including painting, cupcake decorating and face painting. 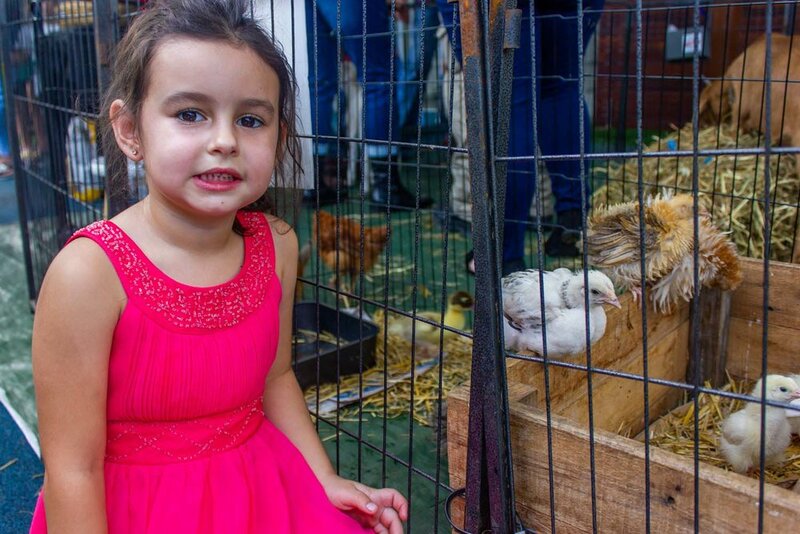 Much to the delight of all who attended, Sweet Valley Mobile Petting Zoo was there with some adorable baby animals including a boisterous lamb, six-week-old baby piglets and cute baby ducklings. Centre Director, Lauren Hayes, was on hand to lead families on a tour through the centre and to share what makes St Nicholas Early Education truly special. The open day highlighted one of the key elements of St Nick’s philosophy - a strong commitment to community. St Nicholas Early Education values community involvement and encourages the continued development of links to the community. Children at St Nicholas Early Education benefit from an early educational experience with strong ties to their surrounding community. This helps children develop positive and respectful relationships while learning about their place within their local community. 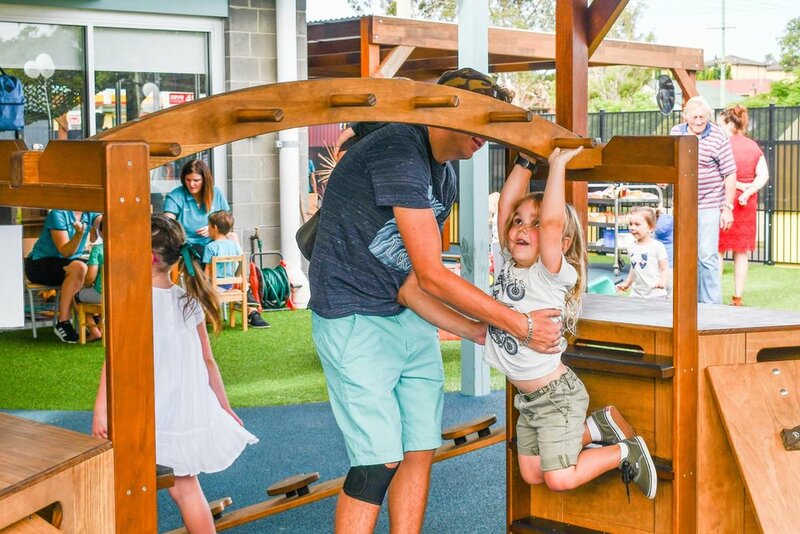 St Nick’s Raymond Terrace brings Reggio Emilia-inspired, child-lead and play-based learning to the Port Stephen and Raymond Terrace communities. The 77-place centre operates from 6.30am to 6.00pm. It caters to children under school-aged years. As part of its service, St Nick’s Raymond Terrace offers a full-service food menu. This includes a breakfast bar, morning tea, lunch, afternoon tea and a late snack - all cooked on-site by the centre’s cook. St Nicholas Early Education Raymond Terrace is taking enrolments for the limited spaces that are still available. 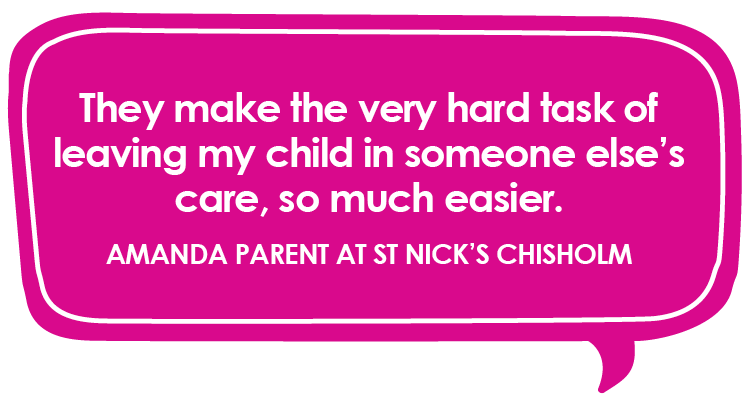 To learn more about enrolling your child, click here to contact the centre now. If you missed out on the Open Day, but would like to experience our Raymond Terrace centre for yourself, you can request a tour by clicking here.